When will the balloons launch? 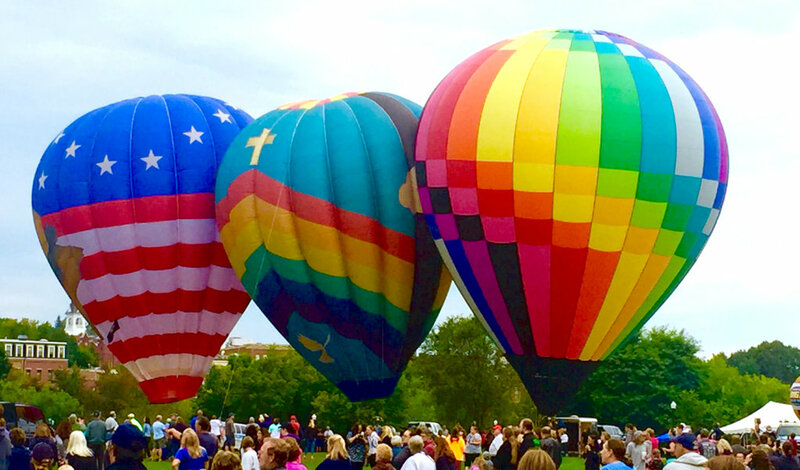 Due to weather conditions, the best times for balloon launches are 6 a.m. and 6 p.m. Friday through Sunday. Launches are always weather permitting, and times may vary depending on conditions. As soon as it is known whether or not the launch is not going to happen due to inclement weather, that information will be posted on the festival’s Facebook page and the Sun Journal will be alerted as well. The Moonglow (hot air balloons tethered and lit up with propane) is scheduled for Friday night, usually between 8 and 9 p.m., after the balloons return from the evening launch.